Found this AMF patch recently. Is it a good one? I don't have it in hand yet so I can't show a snap of the back. Soon I hope. Not sure what to tell you. When 3 PPCLI was assigned to the AMF in 2001/2002 we only wore the pin backed enamel shield in place of the command badge on our DEU's. 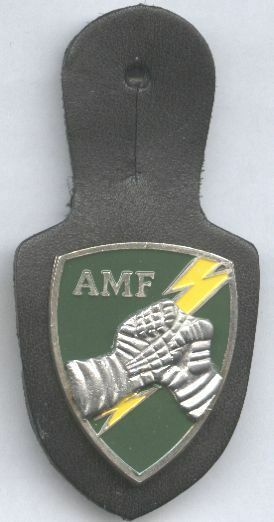 Perhaps a cloth badge was used in the earlier days of the AMF for wear on the combat uniform. Keep in mind that many nations participated in the AMF and they each had their own version of the badge for wear on their uniforms. 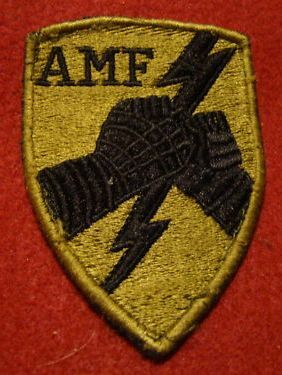 Also, I do know that various AMF badges and misc souvenirs were sold in some kit shops for the various units that rotated through their turn as the IRTF(L) (immediate reaction task force - land). Hello Dale, Yes the patch that you have is a good one, but like Steve says it is not exactly clear which Canadians wore it. Whew! Thanks guys. I took a chance on it and hoped for the best. 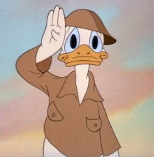 We wore the cloth patch on our parkas when I was in 1 RCR 86-88. Hi jb7569, welcome to the Forum. 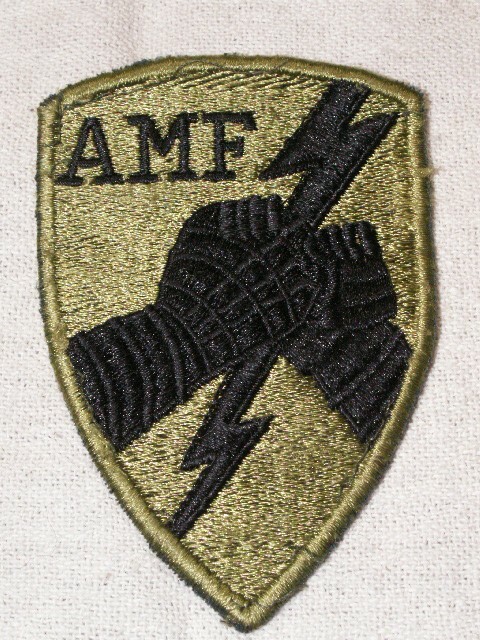 Question, the AMF patch was worn on the arm, or on the front/rear tab? We wore them on the right upper sleeve. 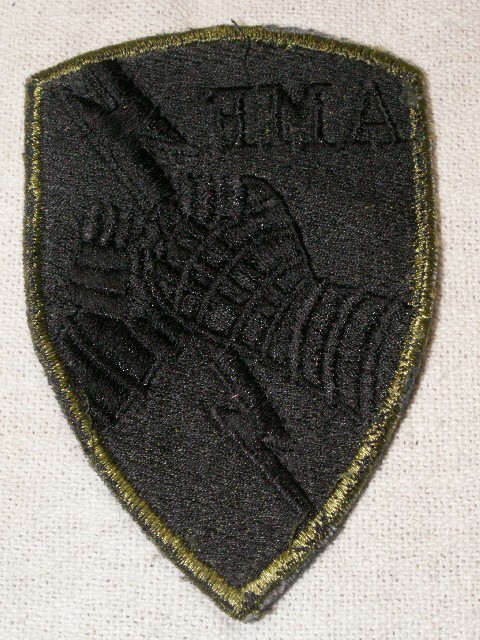 When I was in 1 RCR, we also wore the AMF metal badge on the left CF pocket and the Mobile Command badge on the right pocket. When we got the new DEU, we only wore the AMF badge on the right pocket. Thanks for the info and for your service! Have a great Christmas and welcome to the forum. Was just digging through my badges and nick nacks and found my OD sew on AMFL badge, forgot I even had it. No sorry. Looks identical to the one pictured in this forum. Also must say, sorry for the late reply.